The Riverside Hayride is an annual nighttime outing that commences at full dark at Corvin's Apple Orchard. Corvin takes participants on an adventure through Riverside Cemetery, which neighbors his orchard. The hayride winds through the cemetery then hugs the north river until just past the Maine Moon Drive-In whereupon the ride shifts to the left and continues past Oak Pond and Gunnerson's Pumpkin Patch, finally culminating at the Gibbon's Boarding School where the Bandstand Juniors are hosting a haunted house in the west wing of this formidable institution. Riverside Hayride opens with a potent blend of moss, wet dirt, stone and fallen leaves. White carnations, bare branches and hay quickly follow. A very subtle trace of pressed apples carried on the breeze from Corvin's apple orchard arrives after a few minutes of wear. As the blend settles on the skin, the strong earthy outdoors notes are tamed a bit, allowing for the white carnation, wood and hay notes to become more apparent. The apple top note disappears. A thin line of woodsmoke permeates the blend on the dry down. 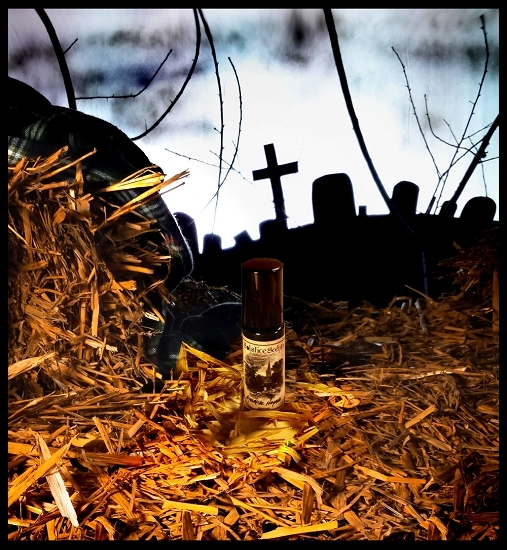 Riverside Hayride is a very literal earthy outdoors blend with dirty carnation and November wind. 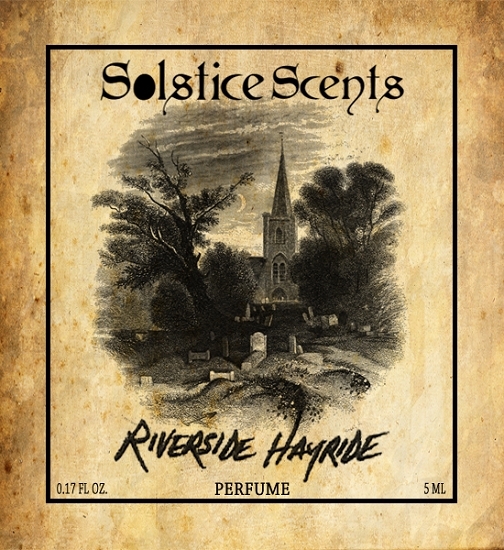 If you enjoy our heavier and more realistic green earthy scents, you may enjoy Riverside Hayride. Very atmospheric. Unisex. Ingredients: Oryza Sativa (Rice) Bran Oil, Fragrance (may include essential oils).